The inauspicious start to our travels notwithstanding, we enjoyed a wonderful week of safari with D’s family and made it safely back to Nairobi. We had just turned into the wide, open plains of Solio when our car experienced an unexpected loss of equilibrium. 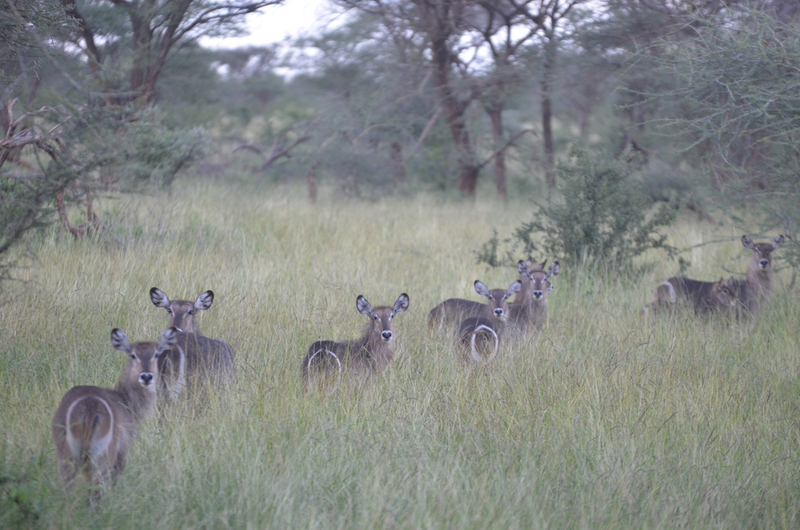 We had been driving on a flat, dirt track, going approximately five kilometers per hour as our visitors tried to photograph a troupe of vervet monkeys. All of a sudden, the car lurched to the left and ground to a halt as if it had fallen into a deep ditch. When we got out to inspect the damage we found that the right front wheel had come unhinged and was sticking out at a 30-degree angle. There are few good options for those who want to tour Kenya on a shoestring. Walking, horseback, or camelback safaris are a good alternative for exploring the bush, but to see big game up close a vehicle and driver are a must. Comfortable budget lodgings are also hard to come by. There are dozens of high-end all-inclusive safari lodges and self-catering camping is possible in some parks, but there is virtually nothing in between. The phone call startled us in the dead of night, jarring us out of a deep slumber. D mumbled something unhappy and incoherent, and rolled over in a futile attempt to maintain his grasp on the rapidly dissipating strand of an ephemeral dream. S, no more amused by the phone’s persistent ringing than D was, answered the call. The seriousness in her voice as she asked the caller to repeat his message extinguished the remnants of D’s sleep. Compared to last year’s holiday lull, this December has been incredibly busy. Curious how life tends to loop around on itself sometimes. Like running into an old acquaintance while traveling in some remote part of the world. Or discovering that you and a new colleague lived a couple of miles apart as kids and had the same math teacher in high school. For D, life came full circle during a recent work event. With no grandchildren to spoil, our parents turned their attention to Emmie, showering her with toys and treats. This holiday season, we’d like to repay their generosity by sharing a few of our favorite photos of Emmie in action. While D was trying to avoid bandits in Kenya’s wild North, S went on a work trip to Kisumu, serving as the control officer for the visit of Director of the U.S. Cookstoves Initiative Jacob Moss. As the hub of East Africa, Kenya is a focus country for pretty much every international initiative cooked up by the President or the State Department. Secretary Clinton launched the Global Alliance for Clean Cookstoves in 2010 with the aim of saving lives, improving livelihoods, empowering women, and combating climate change by creating a viable commercial market for clean and efficient cookstoves and fuel. 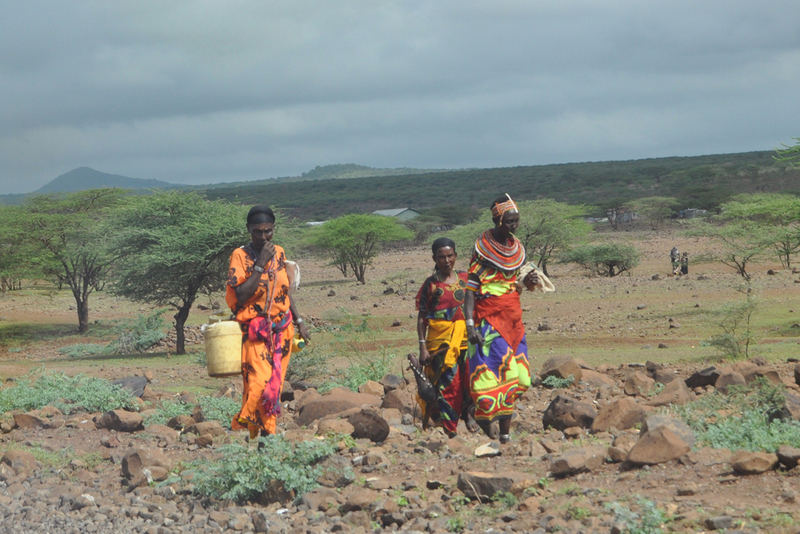 Northern Kenya is a sparsely-populated, forgotten land that is home to about a dozen pastoralist tribes, which frequently give the impression of being untouched by modern civilization and the passage of time. Lonely Planet calls the northern half of this country some of the most exciting wilderness in Africa, daring adventurers to explore it only if they are willing to withstand appalling roads, searing heat, primitive food and accommodation, vast distances, and more than a hint of danger. Who wouldn’t want to go? It boggles the mind how long some things take in the Foreign Service. For example, although we know our transfer dates, we still don’t have travel orders, which means that the dates could theoretically shift, even though they’ve been agreed on for months.